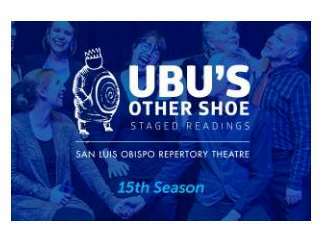 SLO Rep's Ubu's Other Shoe Staged Reading series presents a staged reading of Girls Like That by Evan Placey, running April 19-20, Friday at 7 pm, Saturday at 2 pm & 7 pm. What would you do if a naked photograph of you went viral and you couldn't stop it? That's what's happened to teenager Scarlett and soon she becomes the center of everyone's attention. Rumors run wild and everyone quickly forms an opinion ...or two. But Scarlett stays silent. Girls Like That focuses on adolescent female friendship and its fragility in the face of societal and cultural pressures.